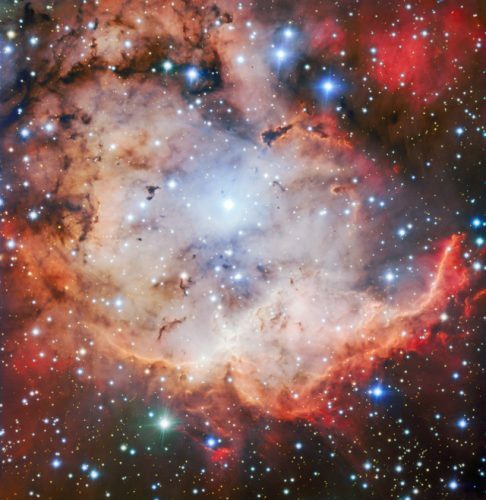 ESO has published a photo of the nebula NGC 2467, also known as the Skull Nebula, taken using the FORS2 instrument mounted on the VLT in Chile. It’s a stellar nursery as it contains a lot of gas that’s still forming a number of new stars and consequently sees a predominance of young, often massive, stars. The photo was taken as part of ESO’s Cosmic Gems programme, which has also an educational purpose.